UNetbootin for Windows XP - a program with which you can quickly burn a Windows distribution on a USB flash drive or memory card. The utility allows you to significantly save time when reinstalling the system, and at the time of its restoration. 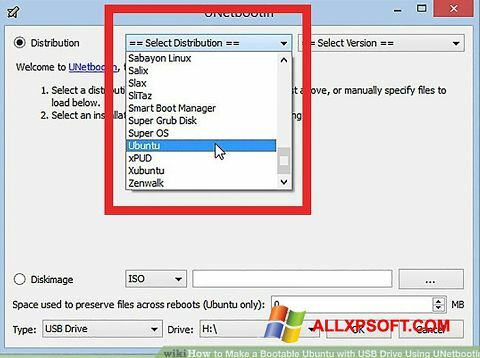 The application allows you to use different ISO and BSD format images, while maintaining high compatibility. Thanks to the simplified interface, working with the utility is simple, since all functions are combined into separate directories. The program is sure to be useful to anyone who does not have a DVD drive on a computer, laptop or netbook. You can free download UNetbootin official latest version for Windows XP in English.